All Forums >> [Artix Entertainment Games] >> [AdventureQuest] >> AdventureQuest General Discussion >> AQ Design Notes >> =AQ= April Golden Giftboxes! Diamond Flutterby Pet and Eggsplosion Spell! 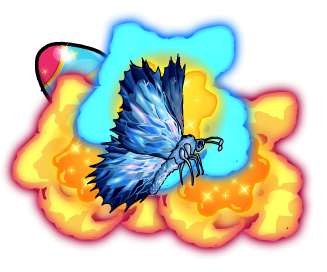 • This beautiful butterfly golem is crafted from diamond and other precious metals, inspiring awe on the battlefield! • Destroy your enemies with this eggsesively powerful spell!